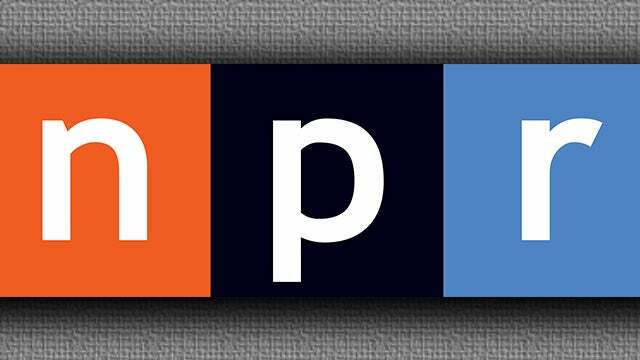 RUSH: NPR felt it necessary to translate me for their audience Friday night on All Things Considered. The correspondent of this… It’s about the memo, and the correspondent here is Brian Mann, and it is a report about how conservatives, including me, viewed the release of the FISA memo. Now, remember in the NPR world… However ridiculous or funny this sounds, I’m being serious. In the NPR world, Trump colluded with Russia. Trump and Russia conspired. They did more than collude. They conspired to rig the election, to win it for Trump and to deny it to Hillary. And it’s only a matter of time before Mueller reports this and impeaches Trump. That’s the NPR mind-set. That’s the leftist mind-set, that Mueller’s getting the goods. It isn’t gonna be long. Mueller’s gonna have all the evidence. Nobody else can find it, but all of the facts will be presented, and the facts will be that Trump conspired with Putin to steal the election. This is what the left believes. So that’s what you have to realize their world is as you listen to this little sound bite. MANN: (sedate tone) Tune into most mainstream media. The debate over this memo sounded complex. It described a messy fight where the Russia investigation collided with government secrecy and transparency, where partisanship smacked up against the rule of law. But in popular conservative outlets, it sounded a lot more simple and sinister. Again and again, audiences were told there’s a secret society within the Justice Department, a deep state plot by the FBI against President Trump. RUSH ARCHIVE: Why are they bending over backwards to prevent the American people from finding out how the FBI operated? MANN: Rush Limbaugh sounded the alarm yesterday on his talk radio show. RUSH ARCHIVE: If the FBI — because of the politicized nature, which can corrupt — has been used to advance partisan political purposes of some of the leadership, this we need to know. And it needs to be cleaned out. MANN: Now the memo was out. Audiences will have a chance to decide for themselves. Did conservative media beat the drums for a distraction that doesn’t bear up under scrutiny, or have outlets like Fox and Rush Limbaugh helped raise even more troubling questions about it is 2016 presidential election? RUSH: You know, I’m sitting here wondering, if NPR is going to continue this as a programming feature, translating me, I wonder if I should try to find out when they’re doing this and trying to sound more like an NPR guy. (interruption) Well, I’d have to do… I’d have to rehearse it a bit, but let me just reread my quotes here from the audio that they played as though I were an NPR guy. Now, this is take one. I’ve not rehearsed this, folks. I don’t ever rehearse anything. I mean, I don’t. It’s another reason why TV and I just don’t go together. Rehearsals… You know, rehearsals… Reality TV is rehearsed. (chuckling) Reality TV is scripted just by nonunion writers. Only difference. Okay. (NPR impression) “If the FBI, because of the politicized nature — which can, of course, corrupt — has been used to advance partisan political purposes of some of the leadership, this we need to know. And it needs to be cleaned out.” That’s just take one. But if they’re going to use me and translate, could I screw ’em up by sounding like them, so that the NPR listener wouldn’t know the difference between the NPR person and me?